Breakfast is a tricky meal to plan in your food storage. Most people I know eat a variety of not storage friendly foods for breakfast, like cold cereal or fresh fruit smoothies. My family really likes to eat eggs in the morning which is great for my food storage because I can absolutely store eggs. We really love the scrambled egg mix (or the Ova egg crystals). The recipe based on a fresh recipe from Our Best Bites, and it translates beautifully into a meal in a jar recipe. You will need fresh tortillas to make it. Tortillas can easily be made from scratch. 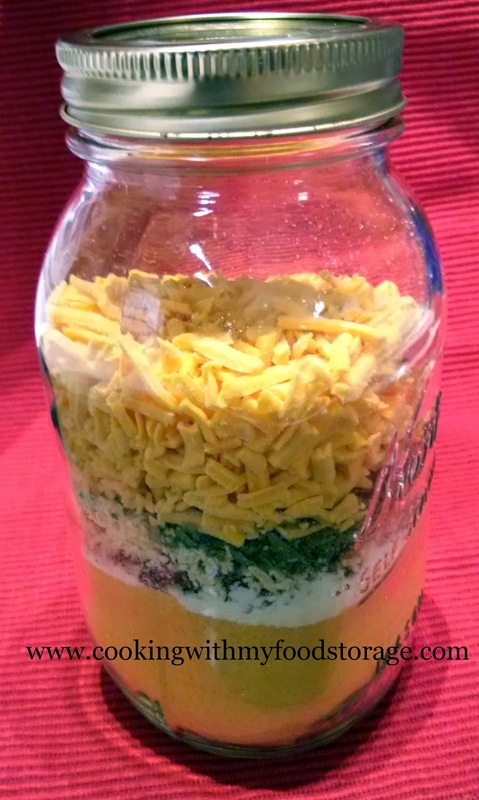 · To create a meal in a jar mix; layer ingredients in a quart sized mason jar. Add an oxygen absorber and seal. · Preheat oven to 425 degrees. · Mix scrambled egg powder, sour cream powder, salt, pepper, and garlic powder and COLD water, let mixture sit to rehydrate about 10 minutes. · When skillet is hot, add egg mixture to pan. Using a rubber spatula, gently scrape bottom of pan and fold eggs over to scramble. Remove from heat when slightly undercooked. 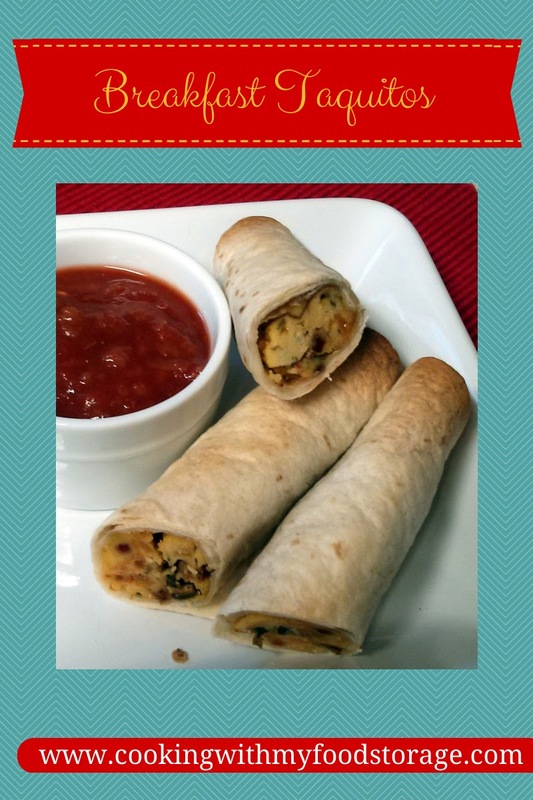 · Warm tortillas in microwave to ease rolling process or heat in skillet with butter or oil. Working with a few tortillas at a time, place a scant 1/4 C egg mixture into the center of each one and roll up into a cylinder. 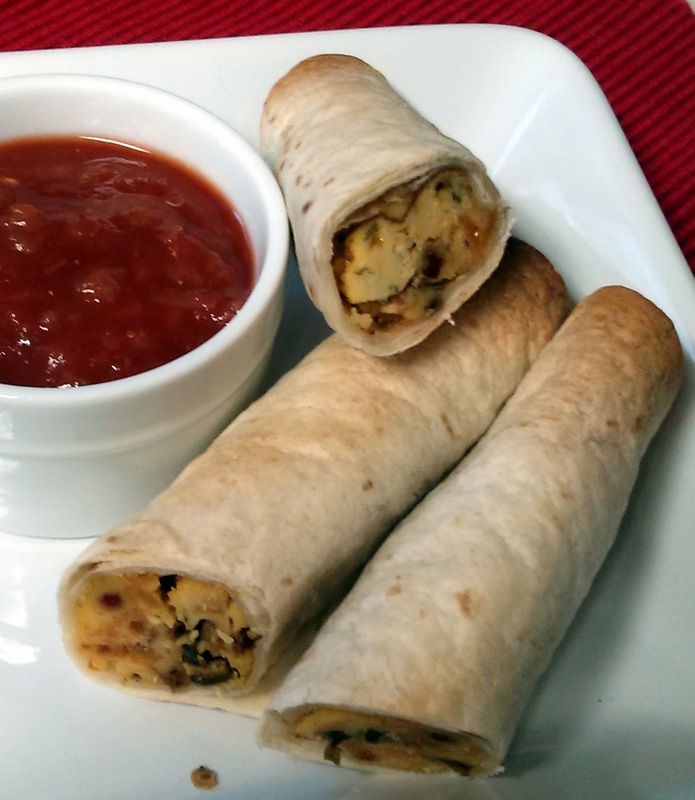 · Place rolled tortillas on prepared baking sheet, seam-side down, so they are not touching each other. When all tortillas are rolled and filled, lightly spray tops with cooking spray, or lightly brush with olive oil. Bake for 15 minutes or until edges are golden brown and crisp.